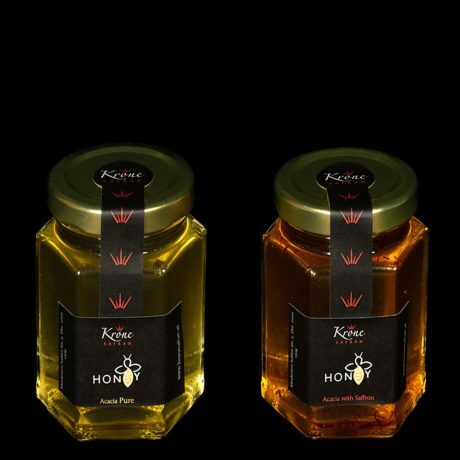 A first-class enjoyment product featuring the symbiosis of pure acacia honey and premium quality CCB saffron. 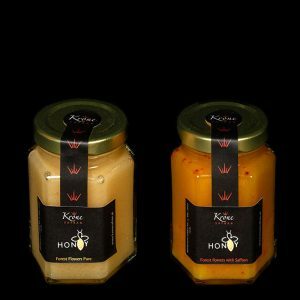 A fruity honey with the sweet and sour extraordinary flavour of saffron, which your taste buds will adore. 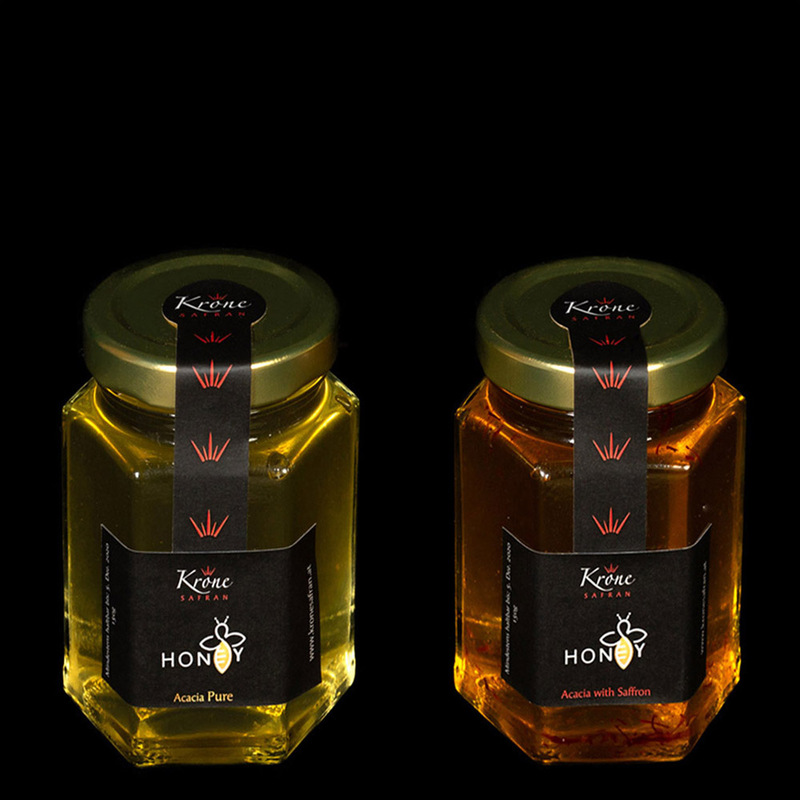 Saffron acacia honey is free from additives and contains only saffron. It can be an ideal complement to a wide variety of sweet tastes and matches well with even more powerful dishes. This fine honey shows a particularly charming aroma, tastes delicious and discreetly sweet. It will remain fluid for a long time thanks to its high fructose content.